WARNING: The following contains science-y things. But give it a chance—it’s important! Long story short, we need more platelet donors. Unfortunately, not everyone knows what the heck platelets even are, why they’re so important, or what’s different about donating platelets. Follow along as we answer all of the questions you never knew you had about the platelets you might not have known you had either. FIRST: What are platelets and what do they do? Let’s dig back to high school science. You might recall your blood mainly consists of red blood cells, which carry oxygen from the lungs to the rest of your body, and plasma, the liquid component, the nutrient- and chemical-rich river in which red blood cells go tubing. 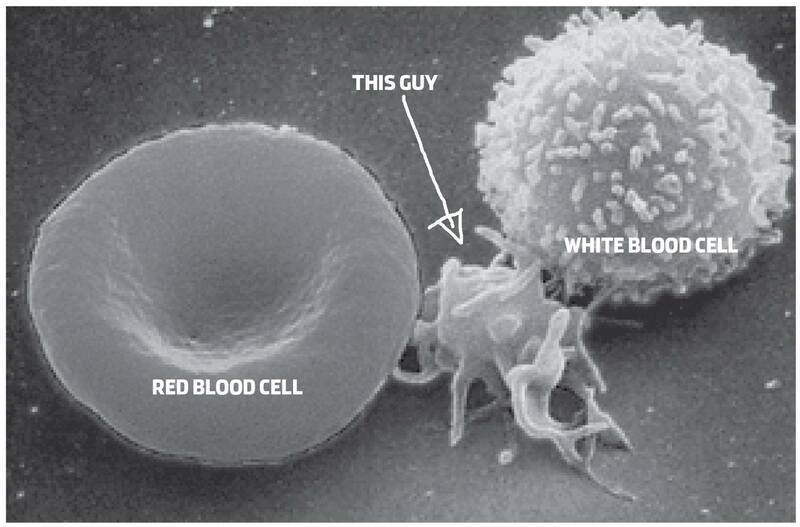 You probably also remember white blood cells, which help us fight infection, but big bonus points if you remember platelets at all. The blood of a healthy, average person is about 45% red blood cells, 55% plasma, and about 1% white blood cells. 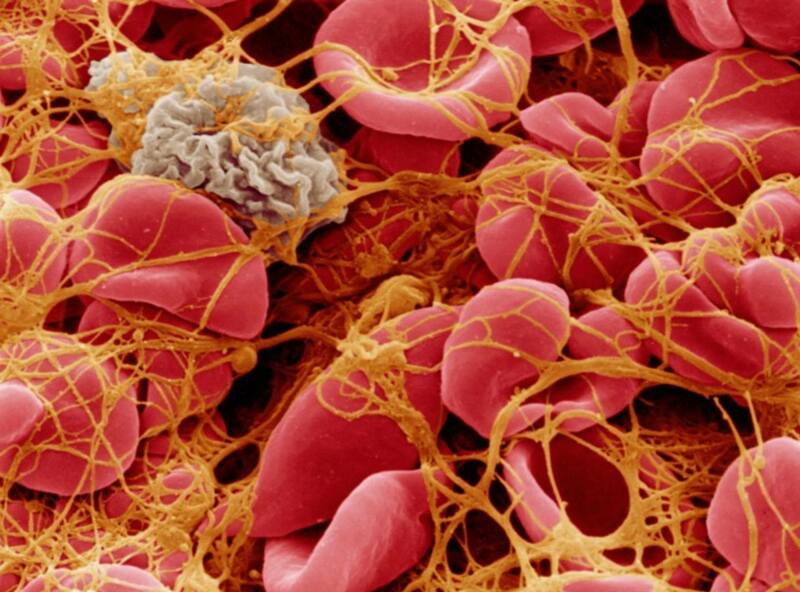 Platelets are such a tiny percentage of your blood volume that we just count how many are in a microliter of blood. They’re actually tiny fragments of cells, all jagged and funky-looking, compared to those pretty, round, red blood cells that are five times bigger. But you gotta have them at the party if you want to keep all that plasma and red blood cells in your body. What role do platelets play? While red blood cells may be the famous, fancy, and fun people at the party, their round, flexible shape also makes them really good at getting bounced out of it when a hole in a blood vessel opens up. The jagged and random shape of platelets, though, makes them good at locking into gaps and creating a structure on which your blood can clot. Your platelets can be lost from bleeding. So, not having enough platelets (thrombocytopenia) can obviously lead to some serious trouble. In a trauma situation, for example, a patient is likely to receive a ratio of red blood cells and platelets to keep their clotting balanced out. Leukemia and other blood diseases can also cause a seriously low platelet count. During chemo or radiation therapy, your platelets take a huge hit. If someone has undergone cancer treatment, chances are they needed a transfusion of platelets at some point, too. In fact, at least half of the platelets we receive at We Are Blood will likely go to oncology patients. In summary: they’re not just some obscure or rarely-needed “extra” thing in your blood; they’re critical to keeping people alive. How we’re meeting the platelet needs in our community. First, some numbers: red blood cells have a shelf life of 42 days, and you can donate every 56 days. Platelet donors can give every 10 days. But… the shelf life is only 5 days, and after required (and necessary) bacterial testing, they’re only usable for 3 days. So, it kind of goes without saying… managing the platelet supply is really tough and a day-to-day battle. Luckily, we have an incredible staff who stays on top of this every single day! The act of platelet donation is also a harder ask for folks. For a standard whole blood donation, you’re in and out of the chair in 15-20 minutes, tops. Donating platelets, though, can take up to two hours (please don’t stop reading). 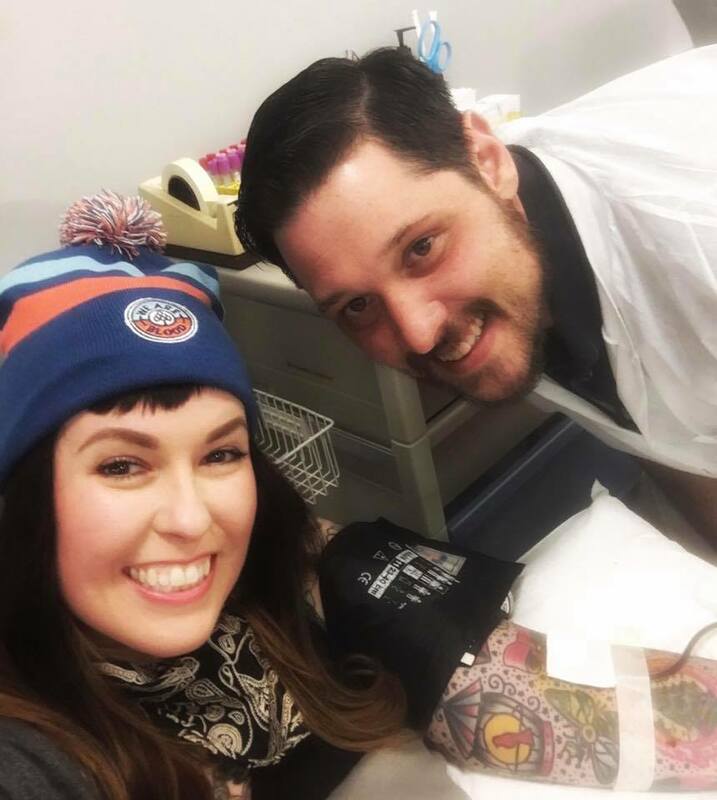 Here’s why: in a lot of short cycles of draws and returns, your blood runs through an apheresis machine, where a centrifuge separates some platelets and plasma out, and returns your red blood cells. It’s perfectly safe, and no less comfortable than donating whole blood… it just takes longer. On top of the time commitment, we should also note that not every blood donor makes a good platelet donor. If you’re O negative or O positive, your whole blood donation is usually needed more. The weight requirement for platelet donation is a little lower than for whole blood (110 lbs. vs. 115), but your body’s platelet count and body mass will determine how long donation will take, and how many platelets you can give. Given the fact that platelet donation is such a time commitment, it’s understandable that in the last 12 months, we’ve had 1,139 people donate them, and only 43% donated more than twice. Donors tell us that it’s not that it’s a bad experience, it’s just a bigger commitment. We get that! But that’s even more reason why we need to work on expanding our platelet donor pool. As with whole blood donation, platelet needs can only be met by willing donors like yourself. So, how well are we meeting that need? To have enough of a supply for all the trauma patients, all the people undergoing surgery, all the people undergoing cancer treatment, we need to draw about 25-30 units of platelets a day. Most days, we just don’t see that. There are plenty of days we only have a handful of appointments. Some of that is on us. We’ve shied away a little bit from talking to new folks about platelets, because, as you’ve seen, it’s a little more complicated to talk about. There are lots of upsides to platelet donation. If you’re athletically-inclined (or often think about exercising), there’s less impact on your exercise schedule than with whole blood. 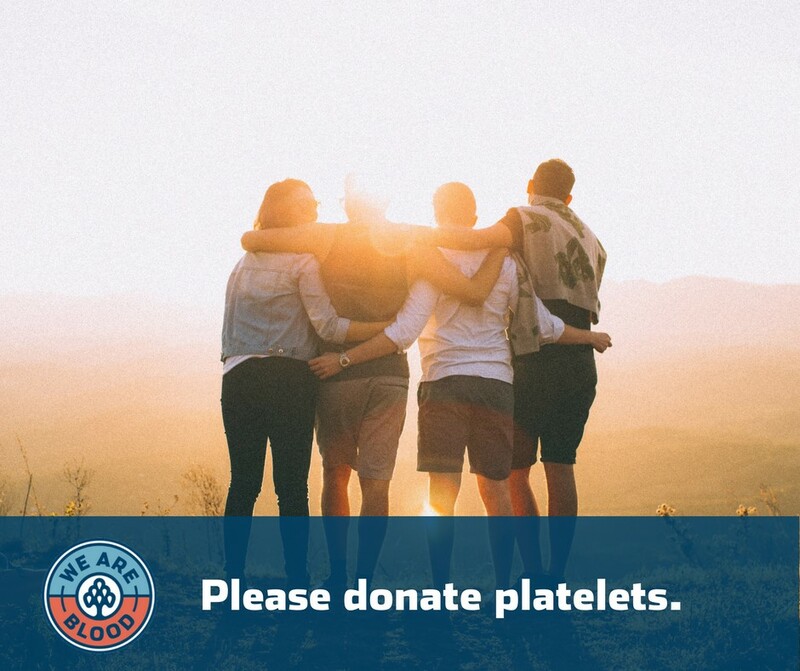 If you like to challenge yourself, or like to maximize how much you give back to your community, you can donate platelets up to 24 times a year, rather than just 6 times per year for whole blood. You can quickly become one of those folks that have donated 5, 10, 25, even 100 gallons, impacting and saving lots and lots of lives. Bring a book, or your laptop or tablet—we have WiFi, so it’s time to catch up on your re-watching of Friends, or to finally commit to Stranger Things (totally worth it). We’ll give you a snuggly blanket, and, as always, all the cookies you might need. And, if you feel good about what you’ve done, become a regular, and educate and challenge your friends. You’ll be able to impact more lives than you could ever know.